Mosquito control is important. It plays a vital role in helping us reduce disease and viruses spread through their bites. Researchers and entomologists around the world have been using mosquito traps for quite some time to help with the study of the pesky insects. Many homeowners are now choosing to use mosquito traps around their homes and yards, as part of their mosquito control measures. Mosquito traps certainly won’t catch every mosquito in the area, as the pests travel around. The traps need to be placed in the right areas and used regularly at certain times of the day. Doing this, you should notice the numbers of mosquitoes will fall slightly at first, but with continued, regular use, the local mosquito population will drop significantly. Mosquito traps are more environmentally friendly than using harmful chemicals and insecticides. They don't involve spraying or spreading any chemicals around you and your home or garden. This is another reason why people have started to favor the use of mosquito traps more and more. As it’s only the female mosquitoes that bite, many traps concentrate on luring them over their male counterparts. When lured inside, they become trapped and will die of dehydration or drowning. The females want to lay their eggs and need a blood meal before they can do this. Trapping them first means that they’ll die before they have the chance to lay their eggs. This obviously also helps to reduce future populations. The traps work by mimicking animals and humans. To do this they emit certain substances which the female mosquitoes find attractive. Depending on which trap you choose determines what substances are used to lure the mosquitoes in. In general, they all work by using the same principles. All humans and animals emit carbon dioxide when they exhale. This is one of the first signs a mosquito looks out for when she is searching for a blood meal. Some mosquito traps work by emitting a constant flow. Others will release the carbon dioxide as if to mimic the rhythm of how humans breathe. To do this, the traps will either contain propane gas to make the carbon dioxide or have a cylinder of carbon dioxide included. Carbon dioxide has been used in traps since the 1990s, but on its own is not effective against all mosquitoes. Some species will still choose human, skin even when a trap producing carbon dioxide is present. This is more useful against those mosquitoes which become active at night. The Aedes species will usually feed in the day or early evening. 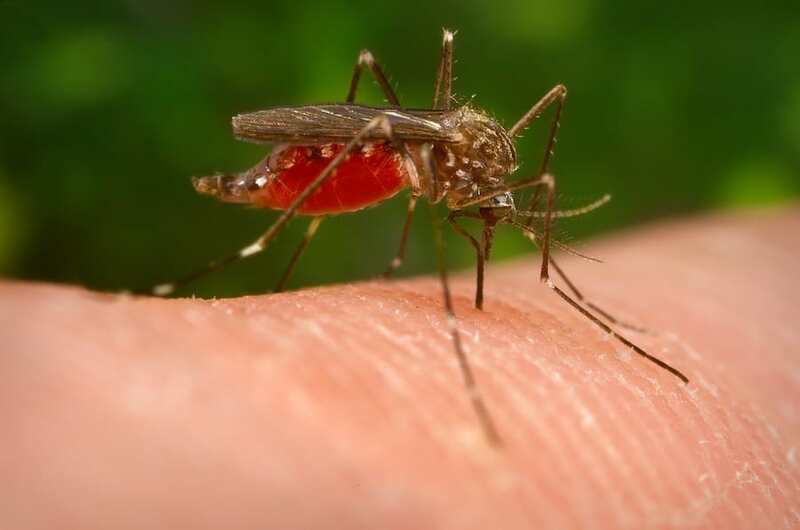 The Anopheles and Culex mosquitoes are the ones who bite at night. It’s a good idea to recognize which type of mosquito you have in your area in order to use the right trap. Early traps, such as the CDC and the New Jersey light traps, played on the mosquito’s attraction to light. Mosquitoes see differently from humans. Light is only visible to them between ultraviolet and yellow on the color spectrum. The traps work by luring the mosquitoes with ultraviolet light. The light and the heat of the device is a strong attractant. As the bugs approach the light, a surrounding electrified grid kills them. This is a very effective, chemical-free, method of reducing the mosquito population. Zappers, as most are called, are available for use either outdoors or in the home. Mosquitoes have a keen sense of smell, and will use this to track down their food source from a distance away. Each time we exhale, we release chemicals into the air. Octenol and lactic acid are responsible for creating the scents that mosquitoes find attractive. Combined with carbon dioxide, these odors draw in mosquitoes like moths to a flame. These are the cocktails of scents that attract mosquitoes to us. The different odors are why some people are more prone to bites than others. The type of mosquito also plays a part in what attracts them too. Something which may attract one species could actually repel another. Octenol is often used in traps as it helps to make the carbon dioxide smell more like the breath of a human. Octenol is made when the oxidative breakdown of linoleic acid occurs. Another name some people give to octenol is mushroom alcohol. This is because some fungi also produce it, including edible mushrooms. Octenol may be used as a food flavoring and is approved by the FDA. It’s also an ingredient in some perfumes. Mosquitoes sense the octenol on your skin, and so using it will attract them. Again, this is not the case for all species, so you may need to experiment and see if it works on the mosquitoes around you. Lurex works in the same way as octenol, but targets Asian tiger mosquitoes. This is because it contains lactic acid. There are studies that show how it acts as an attractant for mosquitoes. Asian tiger mosquitoes are more of a problem across the southern states. This is often where this substance can be found in traps. Other trap users have come up with their own cocktail of scents that mimic lactic acid. People are also adding strong-smelling cheese, like Limburger and other varieties. They add these to the traps that already contain octenol. Mosquitoes use not only odors and light to find their target, they also look for heat. They are equipped with heat sensors that help them hone in on a target. The odors are what attracts them, but when they get closer they can also detect the warmth of your body. They use thermal receptors which are located on the ends of their antennae. These are extremely sensitive and can detect a host from quite a distance. When the humidity is high, the range of the receptors is increased. Some traps incorporate a heating element. These are often adjustable, and help to make the trap even more attractive to the mosquito. Throughout the season, mosquitoes will move around and their breeding sites will vary. How well the trap works depends a lot on where you place it. Most mosquitoes will avoid wind and direct sunlight. Ideal places for traps will be in the shade, sheltered from the wind, such as under shrubs or bushes. Mosquitoes also love water, therefore, moist or damp areas are ideal places as well. When they emerge and start to look for a meal, they’ll follow the odors. This means they will fly upwind, so think about the wind direction when placing the trap. Carbon dioxide is heavier than air, which means it disperses closer to the ground. When placing a trap, make sure the area around it is clear and level. This is particularly important on the downwind side of the trap. Doing this will allow the carbon dioxide to spread out as far as possible. Choosing a mosquito trap to use is not just as straightforward as going out and buying the first one you see. There are certain things that you need to consider before making the decision to buy. Otherwise, you could be wasting your money on something that is not going to be effective. Many of the brands will claim to be the best, but they may not be ideal for everyone. Some traps may need an external power source to work. This means you have to consider if the area you want it to be in has a power source available. If it’s going to remain in one place, and there isn’t a power source around, you could power it using an extension cord. Another option would be to buy a wireless trap. These are becoming more popular because of their convenience, of course. Many people are opting for this type of trap. With wireless mosquito traps, you can move them around as you like and you can even take them with you when you go on camping trips. Wireless versions are usually powered by either battery or solar power. Remember to make regular checks to make sure they have enough power to keep running. Some traps can be quite expensive, particularly the propane ones. Think about the area that you’re looking to cover. These are more suited to covering larger areas. If you only have a small yard, or just want to protect the patio area, you probably won’t need a propane trap and should be using an average trap. You will also save yourself a lot of money this way, too. Think about how bad the problem really is. If you’re covered in bites after being outside for only a few minutes, then the problem is a big one. If you do have such a major problem, then it may be worth investing your money in a really good trap. If you know this is what you will face each season, then your money will definitely be well spent. Your budget can be a major factor in the trap that you choose. This is why it’s important to do some thorough research. Check out what’s available in your price range and look at some product reviews. Find out what customers are saying about them too. That will give you a good sign of how well they work in practice. Don’t just pick the cheapest; they may seem to be good value, but it’s likely they won’t last very long. This could result in having to spend more money on a replacement, as a result of trying to save a few dollars. This doesn’t mean that you should automatically go for the most expensive trap, though. Think about what we’ve discussed already regarding the area and power supply, etc. Choosing the right lure or attractant is paramount to the trap’s effectiveness. Different species are attracted to certain substances. The region or state you live in plays some part in this, as certain species are found in different areas. For example, the Asian tiger mosquito is more commonly found in the south. The most effective attractant you can use for this species is lurex. In the north, octenol seems to be the one which works the best. Do some research about the species found in your area. You can then make sure the trap will lure the mosquitoes. Adding an appropriate substance to your trap will give a boost to its efficacy. Research shows that trap efficiency is increased up to ten times with the right attractant. Think about where you’ll be using the trap. Do you want something to use inside the home, or do you want it for outside? Indoor traps tend to have a small range and will probably not be water resistant, so you can’t take them outside. They’re designed for use in smaller, enclosed spaces where there is only a limited number of mosquitoes. You activate the trap and leave it inside the room. Within an hour or two, any mosquitoes should have been eliminated. It’s more effective if you’re not in the room, however. Otherwise, they are more likely to go for you instead. The smaller, portable or plug-in mosquito traps are not ideal for open spaces like large hallways. They will also only serve as a short-term solution. You could place them in your bedroom for a couple of hours before you go to bed. That way you’ll be free from the biting pests while you sleep. You could also choose the larger, more expensive bug zappers to rid mosquitoes in the home; these cover a wider range. These can be plugged in and work at all times to kill many flying insects, not just mosquitoes. They work well to keep your home free of the pests. Some traps can be used both indoors and outdoors. Think about what you want to use it for and where. If you want something you can switch between indoor and outdoor use, find one that is suitable for both. Of course, remember to check the reviews first. Some models claim to work well inside and out, but don’t always offer the range needed for when being used outdoors. When looking for a mosquito trap, you want something that’s going to work consistently to keep the pests away. It’s extremely important to note that not all work as effectively as the manufacturer says. Below is my choice of some of the best traps you can buy. I have concentrated on the electric, “zapper” type traps and chosen a variety of devices. At least one of these will give you effective results against these biting pests. This is an indoor electronic zapper. It works using a 365 nm wavelength which emits a blue light to attract the mosquitoes. The light used falls within the wavelength of colors that mosquitoes can detect. This trap works by attracting the mosquitoes to the light, and then it zaps them. There is no need for any chemicals, and it’s safe to use anywhere indoors. It’s a good alternative to other pest controls, which could contain harmful chemicals. It has a powerful light bulb, which LiBa claims is one of the strongest on the market. This is 2800 volts and LiBa guarantees it will kill any insect which becomes trapped in the unit. You can easily clear the dead insects away, as it has a removable tray which collects them. Two free replacement bulbs are included with the unit, and it also comes with a 36-month warranty. Apart from the bulb changing and cleaning out the dead insects, it requires no other maintenance. All you have to do is position it where you want it to be, connect it to your power source, and turn it on. Something to note, however, this unit cannot be used outdoors. This industrial device mainly for use outdoors. It could be used indoors, but in large areas such as barns or commercial properties. It can be mounted either horizontally or vertically and will provide up to two acres of coverage. This is one of the more serious bug zappers on the market. It provides superb control over night-flying insects. It also provides great control when it comes to mosquitoes. It has a removable bug tray that you’ll find fills up rather quickly once the unit is activated. It lures the mosquitoes using UV light. The unit is fitted with three 40-watt high-intensity ultraviolet bulbs, giving it a total of 120 watts. When mounting it, you’re advised to place it around 50 to 75 feet away from your patio. This prevents you from being distracted by the noise when it zaps the mosquitoes. The company claims it covers two acres outdoors and 2,000 square feet indoors. The unit is solidly built with superb quality, meeting FDA and USDA guidelines. The cage is a grid made out of metal, and the catcher is made from solid plastic. It’s a good size—measuring 27 inches in length, and it weighs around 20 pounds. As the name states, this device can be used both indoors and out and you have the choice of hanging it or using it on a table top. It has a great design, in the style of a lantern. It attracts the mosquitoes using a high-intensity UV light which gives out a 365 nm wavelength. Once attracted to the unit, it kills the mosquito with a powerful 800 volts. The device safe for use around children and pets, as they’re not able to come into contact with any harmful parts. It has a sturdy plastic grid which keeps small hands and fingers out. It’s easy to maintain and doesn’t need any chemicals. There’s no need to keep topping anything up or making extra purchases. To maintain the unit, all you need to do is remove the concealed bug tray at the bottom and brush away the dead bugs. It’s weatherproof, which is why it can also be used outdoors as well as inside. You can use it around the yard or patio, and even for your pool area. When using outdoors, it’s suggested that the best placement is at least 10 feet away from humans. It should be placed or hung around three to five feet high. Choose areas that are shaded or near standing water as these are the types of place mosquitoes use for breeding. This is an indoor bug zapper that has a good design to it, so won’t be too out of place wherever it’s positioned. It works effectively to kill many flying bugs—including mosquitoes. To do this, it uses the blue UV light, which works by luring the insects to the unit. Once they get close enough to the unit, the high voltage of the metal grid zaps and kills them. The grid is safe for both humans and pets and will not harm them if touched. There are no chemicals or smells used with this zapper, only the physical method of the UV attractant. The unit can be mounted on a wall or the ceiling. The maintenance is simple, dead bugs are collected in the drawer-style trap at the bottom. This is simple to remove and empty when needed. If the lighting tube needs to be replaced, it is a tool-free technique that can be completed by anyone. It comes with a three-year warranty, and this includes a free replacement policy. There are many debates which take place about how effective mosquito traps are. Some feel that they’re only providing a short-term solution to a larger problem. They feel their use is limited in reducing the population in the area they are used. There are many devices that catch mosquitoes both indoors and out. Some traps you can buy may work well in some areas but for others, they offer no results at all. There are many factors which we need to consider when it comes to using traps. Here we will look to see what can be done to maximize their efficiency. We have already mentioned a bit about the placement of traps when we looked at how traps work. What you also need to think about is where you’re located. Some states or regions have very high populations of mosquitoes. In areas like these, it’s unlikely that a single trap will have a great impact. Instead, you would need to use different methods together or multiple traps. Tall bushes, grass or shrubbery. Any area where there may be standing water. If you’re using multiple methods or a number of traps, you also have to consider the implication of costs. Workout which methods are going to have the best impact on the mosquitoes. You also want it to be the most cost-effective method. To achieve the biggest impact on the mosquito population, you need to place the traps in the right areas. This is one of the major mistakes that many people make. If you want to keep mosquitoes away from you when outdoors, don’t put the traps on your patio or near your picnic table. Doing this is like inviting them to a meal. Not only is the trap attracting them, but the people sitting there will be too. Some find the ideal solution is to put them strategically around the perimeter of their property. You should always aim to place them around 25-35 feet away from where humans will be present. The manufacturers of traps will often recommend you place them as close to the colony of mosquitoes as you can. You also need to direct them upwind from human activity. How effective a mosquito trap is will also be dependent on the weather. The biggest issue is the wind. If you’re using traps that contain gases, you need to keep a watch on the wind direction. To attract the mosquitoes, the gases need to reach them to lure them in. If the wind is blowing the gases away from their direction, the efficiency of the trap is reduced. In the world, there are more than 3000 species of mosquitoes. In the States, there are around 200 different species. The same as humans are attracted to different things, so are mosquitoes. There is no one fix-all remedy when it comes to the control of mosquitoes. This means different methods need to be applied. Some species will be more attracted to carbon dioxide. Other species may be attracted to heat, light, or odor. To find out if a trap will be effective in your area, means finding out the species of mosquito around you. This doesn’t mean you have to get a degree in entomology, it just means you need to do your research. Find out the species prevalent in your area. You can then use a trap that includes the attraction methods that will work best to lure them. For example, if you live in the south, you may be plagued by the Asian tiger mosquito. These can be somewhat trickier than other species to trap. This species likes to bite in the day, so using a light attractant may not be that useful. It has been found that the best attractant for this species is lurex or lactic acid. Therefore, when looking for a trap to deal with Asian tiger mosquitoes you should get one that contains lurex. For a mosquito trap to be effective, it has to be the right one for the job. It’s no good buying a small portable trap to deal with a mosquito problem covering an acre of land. There are hundreds of traps on the market, and each manufacturer will tell you that theirs is the best. As we all know, this is not the case—they simply cannot all be the best. You could go out and buy the most expensive and best trap you can find. That doesn’t necessarily mean that it will be effective in your situation. Even if your friend or relative is using one that they highly recommend, it may not be the one you need. That is, of course, unless they live next door to you and have the exact same problems you do. You need to think about the things we’ve already highlighted. For example, the location you’re in, the species of mosquitoes around you, and the size of the area you need to cover. Before choosing a product, find out what’s working well for people in your direct area. What traps work best for the species of mosquitoes you are dealing with? You don’t want to be wasting your money on something that’s not going to be effective. One important thing to remember when using traps is time. They’re not going to immediately solve the problem. Traps don’t have the immediate effects that using the toxic foggers and sprays do. They work over time to lure the breeding females to their death. Doing this means that entire colonies can be eliminated. While the life cycle of a mosquito is short, it is continuous, so it will take time for all the females to become trapped. This will result in the number of the colony diminishing over time until it completely dies out. A big mosquito problem around your home or yard may need you to keep the trap working 24 hours a day for a while. Do this for a few weeks or more, until you notice that they’re significantly diminishing in number. Mosquito traps are not a magic formula. There are also other things that you need to do to help improve their efficiency. Think about some preventative measures you can take. You’re using the traps to eliminate mosquitoes, so what you don’t want is them eventually coming back. Old tires or tire swings. Garbage which may create puddles. Eliminating areas where mosquitoes may breed will help prevent the problem from returning. It may not prevent mosquitoes from visiting your yard permanently, but it will prevent them from breeding there. These measures, along with the use of traps, should be part of your ongoing mosquito control measures. Remember it’s something you need to keep up with, otherwise, they will soon return to invade your property again. Not toxic for honey bees and other pollinating insects. They disrupt the reproductive cycle of mosquitoes. Mosquitoes will not become resistant to them like some chemicals. No insecticides or pesticides are used. They attract the biting females. However, as with all things which contain gases, chemicals, or are in some way powered, there are always risks to consider. Some mosquito traps that include propane are potential fire hazards. The propane is a flammable gas, and if used incorrectly will be hazardous. There have been cases where products have been recalled due to faults being found. If you’re using a mosquito trap which contains gas then you must follow the necessary precautions. Manufacturers may recommend that they’re only used in certain areas that are well ventilated. When storing them, you may need to disconnect the gas container from the unit. You will also need to be cautious that they’re not used in areas where people may smoke or where a BBQ is used. When purchasing traps, it’s important to buy ones that are made by manufacturers registered by the EPA. This will ensure your product is made following strict safety guidelines. The EPA requires all companies that manufacture mosquito traps and octenol lures to be registered. With octenol, there are rigid instructions which accompany their use and these are not to be handled by children. Children must not handle octenol lures due to the fact that if it is ingested it could be toxic in certain quantities. If you’re using the trap outdoors, it’s recommended they are used at 12 volts to prevent the risk of electrocution. The power supply cord should be combined with a step-down transformer which will reduce the voltage. Many brands now include a 12-volt version for use outdoors. Traps which are powered by cables or extensions can easily become damaged outdoors; for example, when mowing the lawn or trimming shrubs and foliage. Make sure you carry out regular checks of cables to make sure they’re not damaged. Any that are powered by batteries need to be checked as well. Batteries may leak over time. There is some talk that bug zappers can cause potential viruses to be present in the area surrounding the zapper. These findings are not yet conclusive and studies are ongoing. Mosquito traps which use UV light often cause concern for people as to the effects this will have on their health and vision. There have been many studies that have taken place to identify if such problems are true. Most studies show little to no effect from these lights. This is, of course, unless you choose to stand in close proximity of less than a meter and stare directly into the light for a lengthy period of time. The UV lights used in the mosquito traps fall on the color spectrum that is attractive to insects. For humans, it’s not a particularly bright light that will attract your attention. People work with them on a daily basis in commercial places where they are faced with them for a number of hours. Incorporate the use of mosquito traps into your control measures. By doing this, you will soon see that the problem is effectively managed. Ensure that the traps you have are registered as safe for use. You also need to make sure they are able to lure the species in that you are dealing with. There is a lot of information contained in this article. It provides you with everything you need to know about mosquito traps. The main thing to take away from this is: you need to do your research before making a commitment. Don't make any purchases until you have.